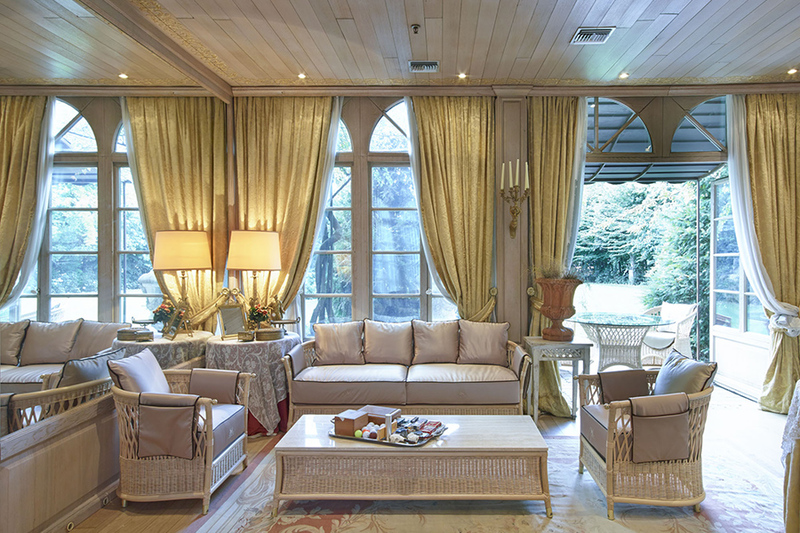 Let yourself be engrossed in the design of a conservatory with a regal ambience. Its composition will welcome you and transport you to a new atmosphere that brings to mind the lush spaces of the past with all the comfort that modern technologies can provide. These structures were originally used as a shelter for plants, then became a place for conversation and entertainment. Much sought after by the elites of the last century, today conservatories are still objects of desire. Today the aesthetic aspect is supported by cutting-edge design, attentive to the modern needs of living and the use of materials that, in the face of advanced performance, offer a high level of performance from every point of view. Conservatories carry on a tradition that continues and evolves thanks to solutions developed to adapt the structures to the demands of its new public and to the constraints of modern and diversified environments. An exclusive journey that never ends. 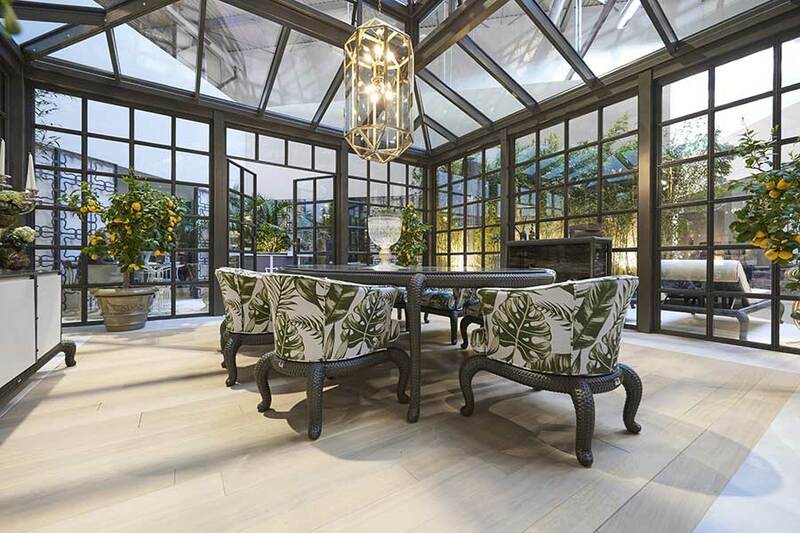 The DFN Conservatory design proves to be pure and harmonious, creating a symphonic and refined dialogue with the existing construction through elegant lines and decorations, large and bright windows that let in a light and gentle air to the room. There is no comparison between a winter garden and any other solution to create a shaded outdoor environment. 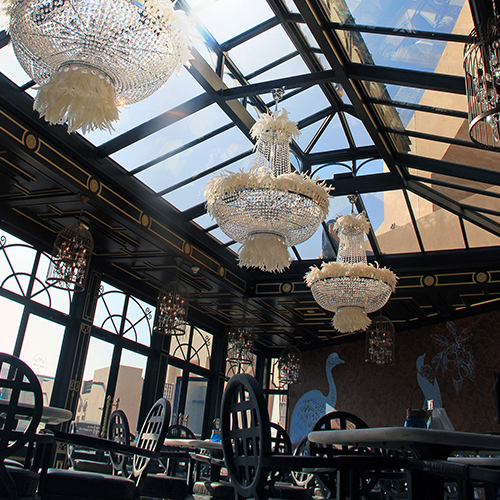 The magic of these fascinating iron and glass structures, light, airy and very elegant, captivate those who use them, creating unforgettable experiences. The colours of the seasons reflect in the glass, giving the structure different shades throughout the year. Regardless of the style and size of the existing property, you can create the proposal that best suits your needs. There is no limit to the environment that a winter garden is able to enhance. With the help of DFN, you can correctly evaluate and define your space regardless of whether you are thinking of a solution around an existing structure or a completely new space. A winter garden, thanks to its elegant and practical design, has the magnificent ability to adapt and integrate itself into every context as it can assume any shape and size. 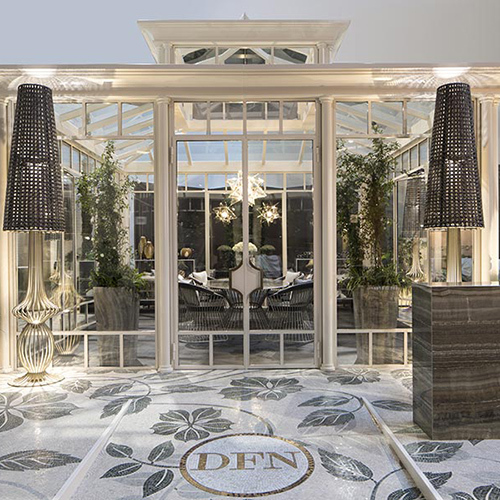 DFN realises conservatories not only for private homes but also for hotels and exclusive hotels all over the world. Discover the pleasure of designing a conservatory that leaves you amazed and enthusiastic thanks to high-quality materials and the perfect execution that DFN offers with the “Casa dei Limoni”. 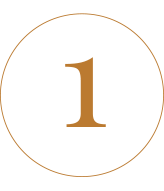 A “first class” project requires that every material and every detail be studied to perfection. Every day DFN commits itself to realise clients’ dreams. The use of thin profiles in iron windows leaves great freedom in the design of the facades and at the same time guarantees solidity. This is how the projects come to life, showing all their splendour. The iron and glass structures by “La casa dei limoni” are as robust as they are light. Places where unchallenged natural light spreads throughout, allowing you to enjoy the open air and the landscape in a protected environment throughout the year. The beauty of the winter gardens does not end here; three proposals with different styles can be mixed together, creating more options. The result is a structure that dialogues with the existing one and the surrounding environment. It seems impossible that such a sophisticated composition can reconcile the most differing and pretentious requests, including the most demanding ones, but it is so. DFN, in designing a conservatory, is able to meet different needs because each project is a custom project. The magic of a conservatory is infinite. Whether you dream of enjoying a cup of tea while admiring the pale colours of dawn, wish to drink a glass of wine at sunset or spend your day immersed in the positive colours of nature, all this can be achieved within the interior of a special and welcoming environment like that of the winter garden. Experience everything you’ve always dreamt of in a charming outdoor room that offers protection from the wind and weather but with a unique style, suitable for entertaining family or guests and with all the comforts of home. Where you can go as soon as you get up, invited by the smell of coffee and the light and bright colours of the morning. A work environment that everyone will envy, stimulating and productive, as well as very bright and quiet. Lunches and dinners will take on a different feel if consumed in a winter garden, a special and inviting location that invites conviviality and relaxation. Where you can train and practise, admiring the view or swimming under the stars. A show like no other. To respond to any of your doubts regarding the conservatories, please contact us or download the free ebook below. DFN’s ability to contemplate any request is in the possibility ofdesigning a bespoke conservatory customised for the buyer and his property: A prestigious and attractive bespoke winter garden. The term “bespoke” is a synonym of uniqueness and luxury, something created specifically and exclusively for someone. A charming, personal conservatory, suited to your needs and desires. DFN can give life to a unique style with all the prerogatives of a modern structure and with the aim to enliven a product as fascinating as it is functional. Encountering a bespoke conservatory is synonymous with experiencing special and incomparable experiences every day, in contact with the positive and energising influence of heaven and earth. Discover how DFN professionals give life to luxurious bespoke conservatories, with a special design, each in its own particular way, starting with the client’s requests and lifestyle. The ability to listen and understand acquired with experience is an integral and fundamental part of every project today. We recommend visiting the “La Casa dei Limoni” section to understand the concept of a prestigious and unique project that DFN intends to relay. In all the details of the project, from its development to its design, from structural engineering to the finishes, what has always distinguished the company’s work is its utmost precision and passion. This is how luxury works are created, scenographic and functional, as well as long lasting. DFN takes every project to heart, making it unique and special, fulfilling your dreams. 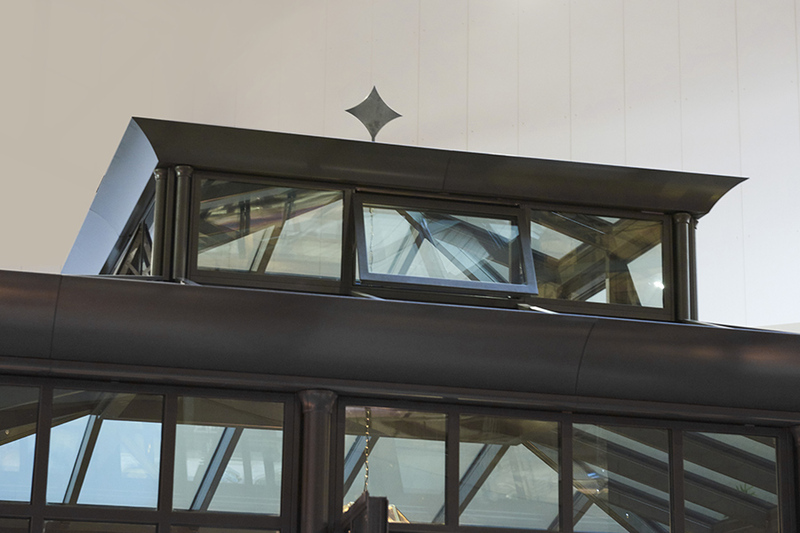 The design of a bewitching conservatory focuses on details and quality to improve life—and DFN demonstrates this with remarkable mastery. The environment goes beyond the representation of a simple extension to constitute a place of harmony and union between the interior and exterior and design and nature. Details influence the positive feelings. 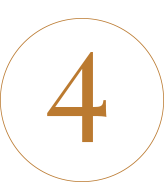 Every element is an essential part of the construction and contributes to the final image of the project. The designing a conservatory is an exciting and engaging process, in which the wishes of those who inhabit it take shape. Here is the strategy that DFN follows to create the perfect conservatory. Realising an accurate and luxurious design is an essential part of the project. A unique winter garden in every detail and tailor-made for your client. Consider the design dimensions based on the available space to obtain a structure that is balanced and proportionate to the property. Design every technical requirement based on final use. For example, the placement of efficient insulation and an adequate internal heating and cooling system, or electricity and water systems, must be studied thoroughly and from the beginning. 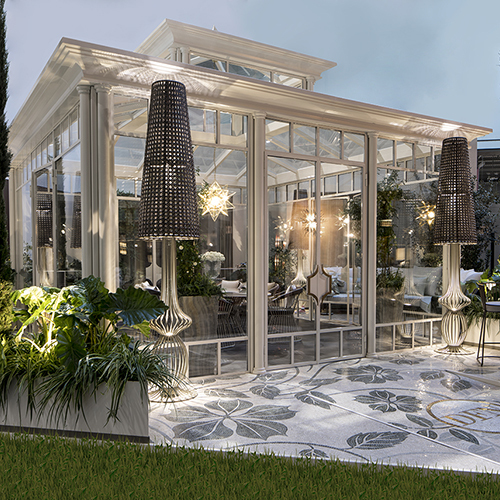 The fascinating glass structure of the conservatory allows for the entrance of an abundant quantity of natural light, but the artificial points of light that DFN inserts contribute to the aesthetic and functional rendering of an environment that you experience day and night. The DFN team takes care of following all the steps for creating an orangery from design to installation. A single representative follows the preparation of the area, the design, the structural calculations, the finishes, the lighting and all that is needed to create a finished project. Learn more about the topic with our complete guide to choose and design your ideal conservatory. 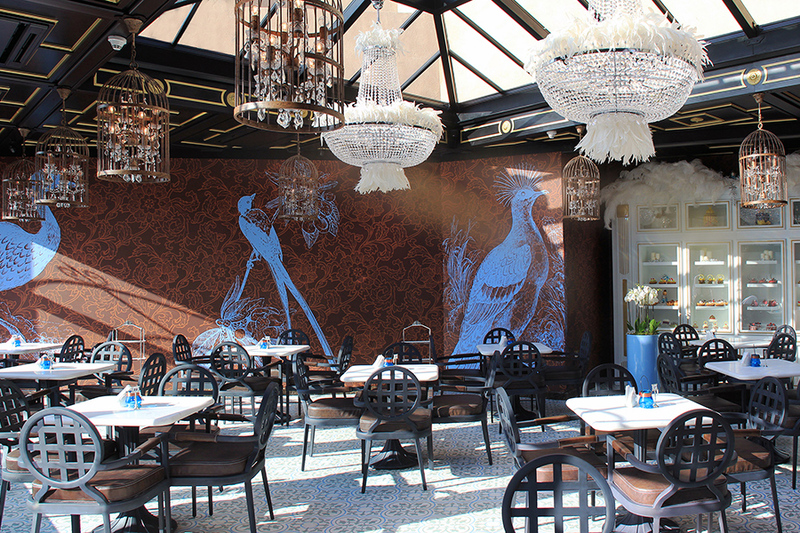 DFN, to present a finished project, a total look that excites the client, also takes care of the interior furnishings. Therefore, in addition to the blueprint of the conservatory’s exterior design, DFN can take care of the design and production of interior furniture with its various furnishing lines. When taking care of the interior design of the winter garden, it is necessary to develop a layout that offers the best aesthetic impact externally. Consult our tips on how to furnish a conservatory. Naturally, a majestic and remarkable structure must contain high-quality and precious materials. 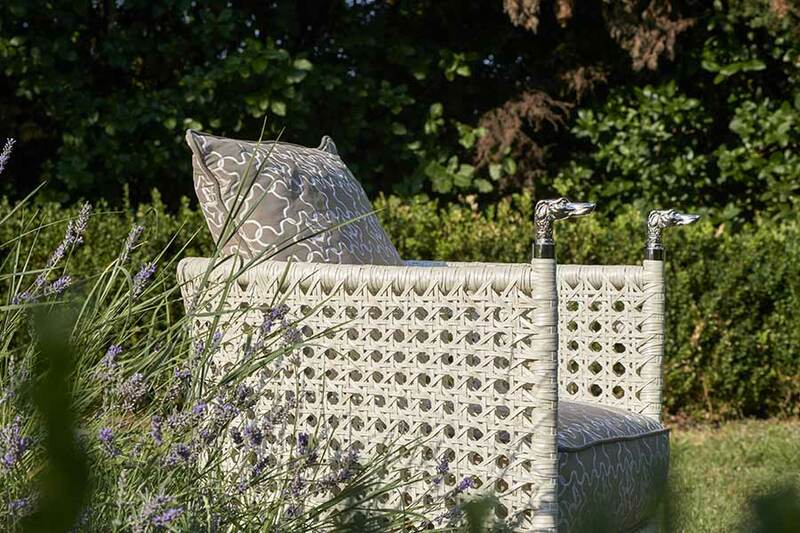 Historically, the preferences were for rattan, wicker or rawhide: natural fibres, status symbols of style and tendency that require the work of skilled artisan hands. 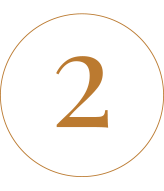 Synonymous with luxury and opulence, entirely ecological and sustainable for the environment. Through these lavish materials, countless elegant accessories can be made to furnish the conservatory in a prestigious way. 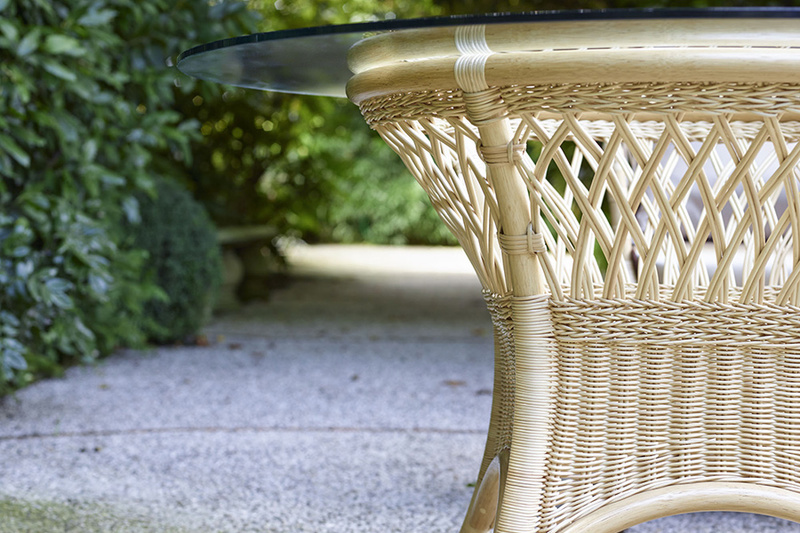 DFN wants you to explore yetanother material that stands with natural rattan, imitating its aesthetic aspect: synthetic rattan, a synthetic fibre with the resistance characteristics of a technological polymer. Also called “eco-rattan” or “poly-rattan”, it is made of high-density poly ethene (technical code HDPE) and is the only fibre with the appropriate guarantee of durability because it is specifically engineered to stay outdoors for prolonged periods and also be exposed to direct sunlight and weathering. The wicker, in turn, is obtained by working the inner part that is even more precious than the rattan, to create weavings of noble and refined designs. The rawhide is a natural material of considerable strength and value that is obtained from not-tanned animal skin (lamb or veal) to generate decorative ligatures or strong, refined textures. 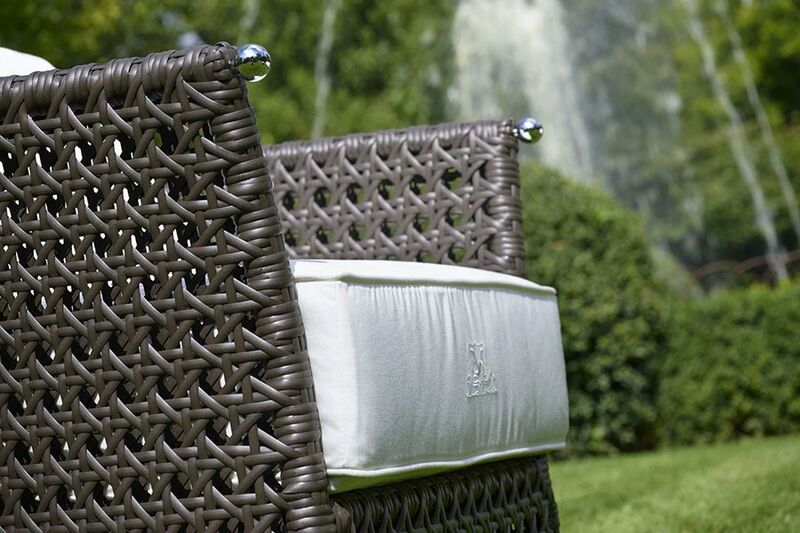 Natural rattan is a precious material with minimal maintenance and considerable elasticity as well as lightness. Its high tolerance to heat and humidity makes it ideal for decorating a conservatory. However, prolonged exposure to sunlight can compromise the homogeneity of the colour over time. This material denotes DFN’s superior ability to be the ideal partner for outdoor projects and meticulously design and install a conservatory. 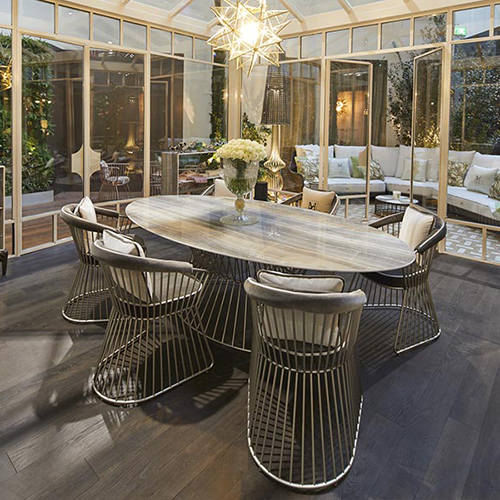 The most distinctive feature of DFN’s winter garden design service is the proven ability to create a space suited to the dimensions, styles and needs of the client, skilfully merging order, technology and uniqueness. Added to this is the possibility of customising all interior equipment in the conservatory: flooring, furniture, lighting, sound diffusion, shading, heating and air conditioning. 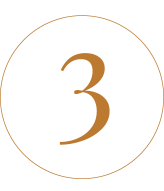 This ability to operate at 360 degrees makes DFN the ideal partner for finished projects that consider every detail. 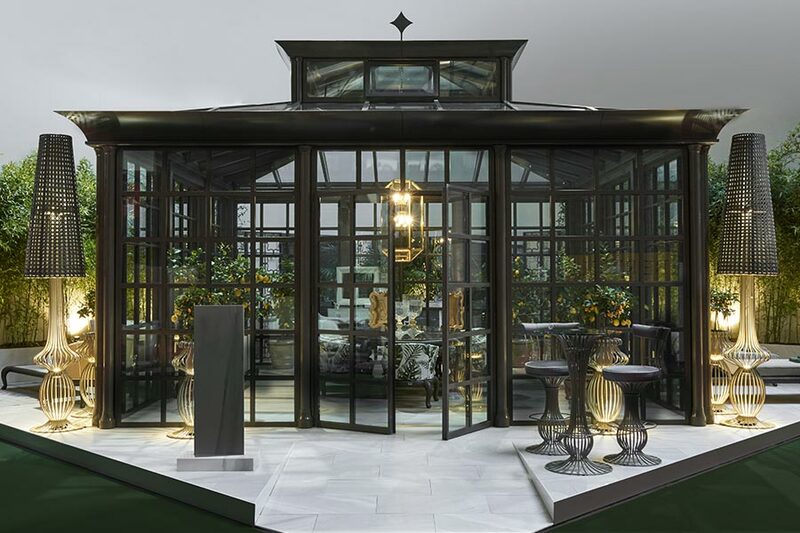 An exclusive and specific luxury proposal for the particular environment, as happened in Doha, Qatar, where DFN has demonstrated its ability to live up to the expectations of the most demanding clients through the creation of a winter garden used for a refined chocolate shop. An entirely custom-made project realised in a location with climatic conditions that required the use of finishings that are highly resistant to atmospheric agents. 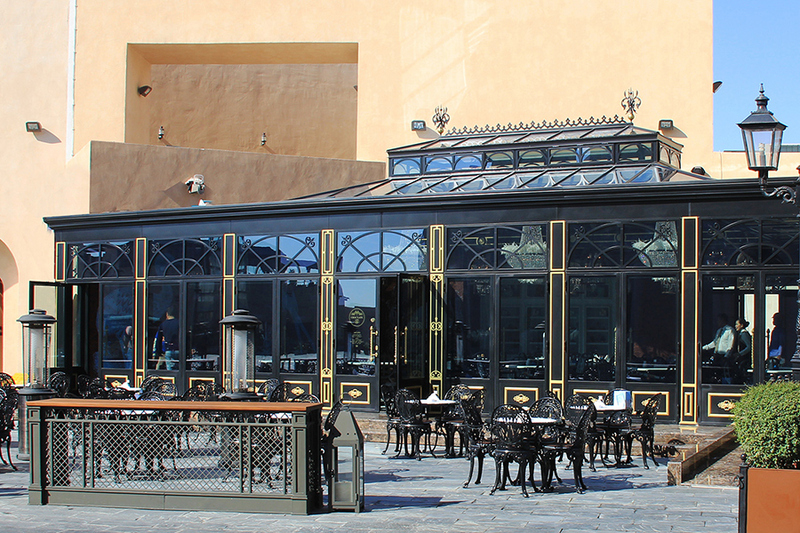 In particular, you can see how DFN has succeeded in the great aim to combine high functional value with aesthetic research in the classic appearance of the structure, entirely made of iron and glass, which contains a very important last generation air conditioning system for guests’ comfort and scenic and suggestive lighting.